With our Fire Alarm and cabling project at Wimpole launching this month, Victoria Moulton our House Steward tells us all about the 3 Ps . . .
Protection began with our staircases and corridors being clad with correx and foam. 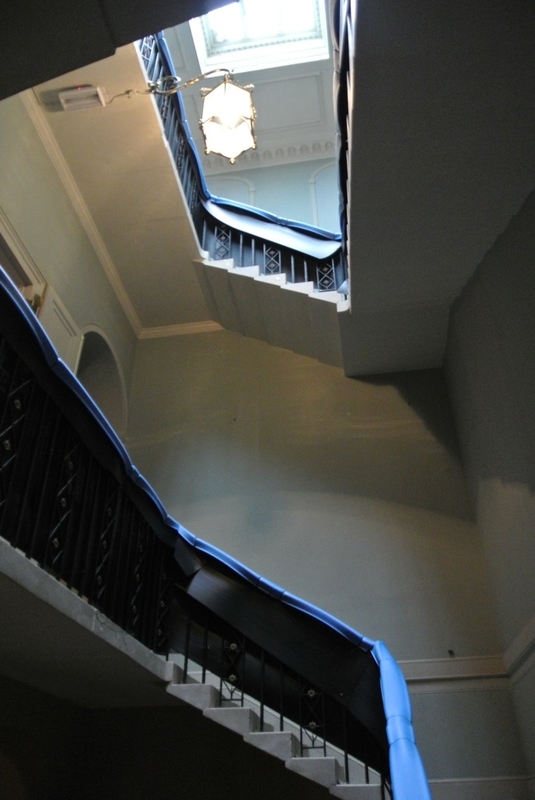 The Soane stairs is given the full treatment, with the contractors requiring access routes around the house, this has to happen before they can begin their work. To keep the project running to a good timescale a meticulously organised person is required! Let me introduce you to Mary. Mary is our conservator for the project. 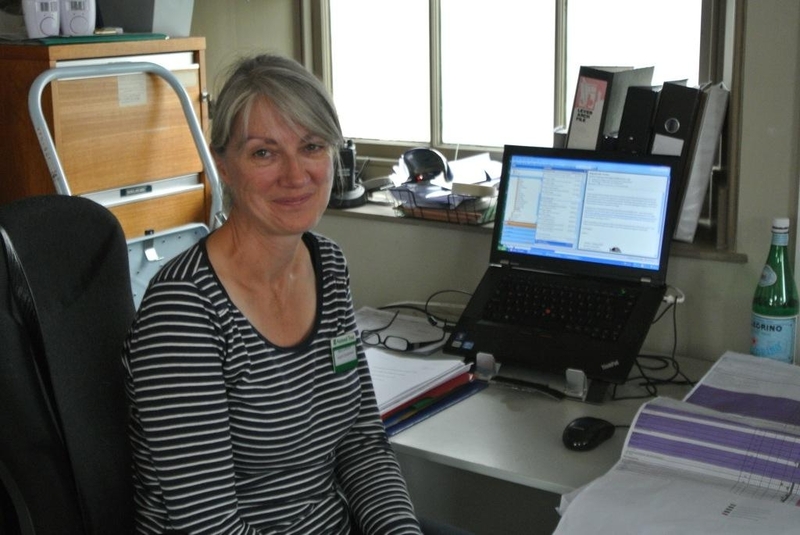 Working with us since June, Mary’s been planning all the protection for every room that will be affected by the works. This also leads to protecting every object in every room. This is then complicated by more factors, such as which floorboard needs to be lifted, is this room needed for our Christmas event and so on. So with Mary’s uber organised protection plan, work began in earnest last month. Naturally, Mary is not doing all the work on her own. A crack team of multi disciplinary volunteers and staff have come together from across the estate and other properties across the organisation. 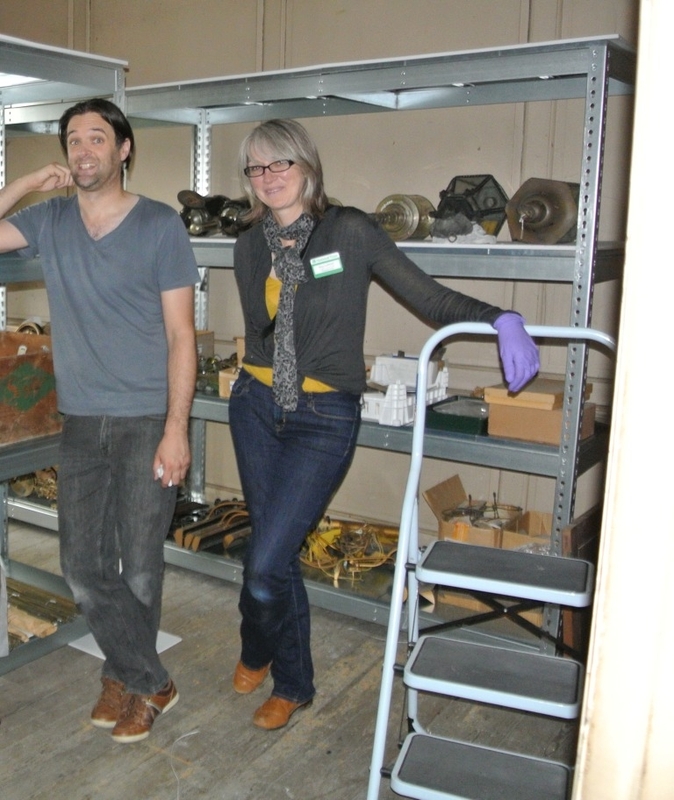 Mary’s partner in crime in this photo is James; he is currently working at Stowe in Buckinghamshire but has joined us to assist with packing up the collection. 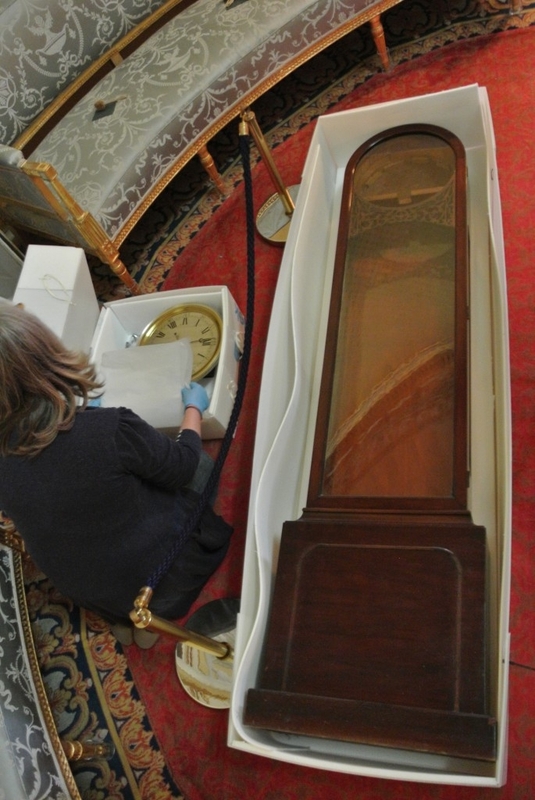 Today they are working with Sandy (Wimpole volunteer) and Lorraine (Collections Assistant) in the attics, decanting objects into different rooms, depending on where the floorboards are lifted and the scale of works in a specific room. The attics have to be ready first as this is where the contractors begin. Lorraine and Sandy are concentrating on inventory work. Each object has a unique number and they’re ensuring that this identified on the object or added if necessary before it is moved. Across our organisation we all use one database that holds information about each and every object we care for. You can find out more at www.nationaltrustcollections.org.uk . As well as historical information, the database is updated when we change a location, or the object has some conservation treatment. This all builds up a ‘diary’ for each object. If I’m allowed to finish with a question, I want to highlight Mary’s hand in the photo, yes it’s purple, but what is the glove made of? This entry was posted in Conservation, Mansion, Uncategorized and tagged attics, cambridgeshire, collections, conservation, floorboards, hall, hidden, packing, protected, Soane, Stowe, wimpole, wrapped by ntwimpole. Bookmark the permalink. I wish you luck and hope everthing is packed away undamaged and that you can remember where you put things when it is time to unpack.